Warner Bros. Interactive has released over ten minutes of gameplay footage from their upcoming sequel to Batman Arkham Asylum. 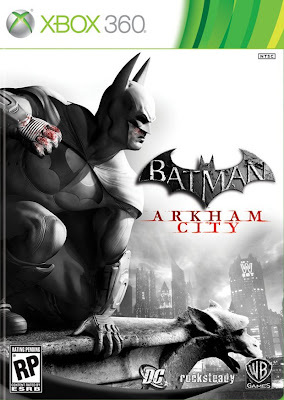 Batman Arkham City looks to build on that game, which is largely considered the best superhero video game of all time. You take up the role of Catwoman to fight off some thugs, only to be captured by Two-Face. Batman: Arkham City will release on October 18 in North America, October 19 in Australia, and October 21 in Europe. The game is set to release for PC, Xbox 360, and PS3. Hit the jump to check it out. The story for Arkham City takes place one year after the events of Arkham Asylum. Quincy Sharp, former warden of Arkham Asylum, has taken credit for stopping the Joker, and used that notoriety to become mayor of Gotham City. As neither Arkham nor Blackgate Prison are in any condition to hold inmates, Sharp buys out a large section of Gotham's slums and arms the perimeter with private military contractors from a group called Tyger in order to create "Arkham City". The prisoners are brought into Arkham City and are given free rein, as long as they do not attempt escape. To oversee the city, Sharp uses psychiatrist Hugo Strange who appears to have his own secret agenda for the city. Batman maintains a vigil over the city, worried that the situation may get out of hand. I'm reading: GAME NEWS: Check out Twelve Minutes of Gameplay from 'BATMAN: ARKHAM CITY'Tweet this!